A Maryville University education is an excellent value. With our emphasis on liberal arts study and professional preparation, we offer small classes, excellent academic programs, outstanding faculty, and close proximity to internship and employment opportunities in St. Louis.There are many financial aid opportunities to help offset the cost of a private university education. Our goal is to provide affordable and accessible education for deserving students who otherwise might never fulfill their enormous potential. 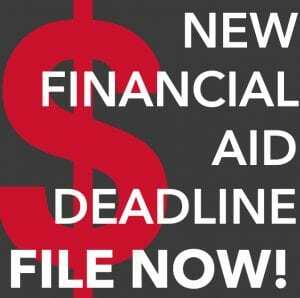 financial aid at Maryville University is available in the form of grants, loans, scholarships, and work-study programs. Both merit-based and need-based assistance is available. Need Help Financing Your Education? Maryville’s strong financial aid and merit scholarship programs along with state, federal and private programs make the overall cost to attend comparable to a public institution. All accepted, full time students pursuing a first undergraduate degree are automatically considered for merit awards, ranging from $6,000 to $14,000 per academic year. The University Scholars Program awards range from the cost of tuition up to coverage of tuition, room and board. Prospective art and design students can compete for scholarships ranging from $500 to $5,000 a year. 93 percent of Maryville’s full-time students receive some form of financial aid. Over $53 million was awarded in financial aid last year to Maryville University students.